Hello friends! I'm going to pretend it's Thursday and not Wednesday because time has stopped this week at work. But fortunately, when life seems loooong, it takes very little to entertain me. 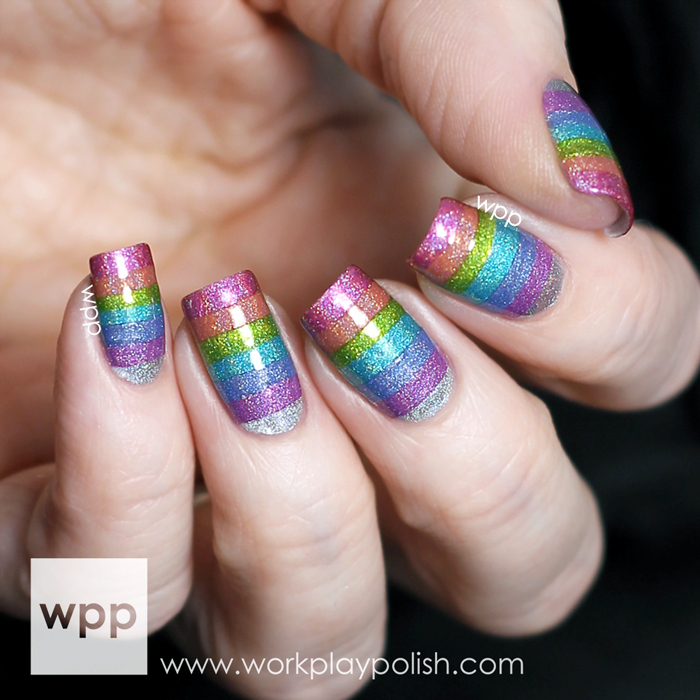 Case in point - I always use "rainbow-y" to describe holo polish, so I contemplated naming the post "Holo Rainbow Rainbow". Then I decided it would just look like a typo. I'm not sure my new name is any better; but it did give me a small (very small) giggle. LOL. 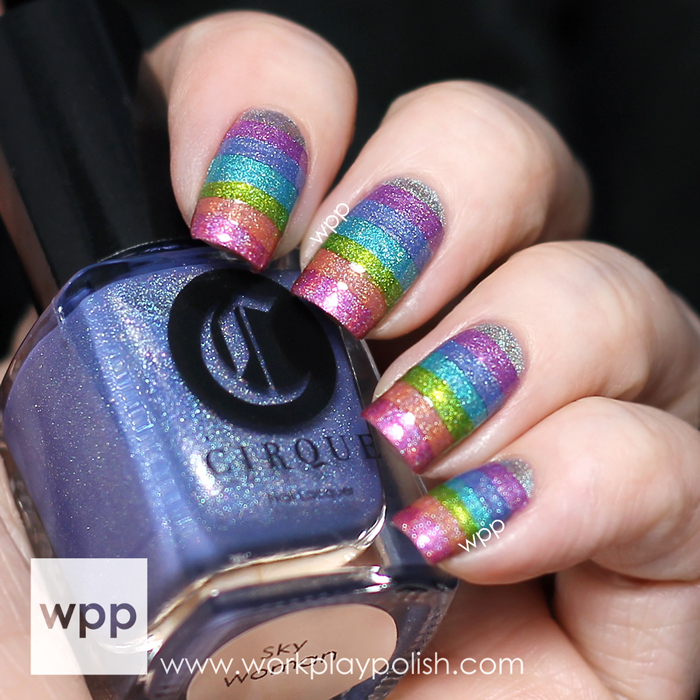 Today's look was created using all seven polishes in the Cirque Colors Heritage Collection. Um, wow. These are all so pretty - every single one! I put my polishes in the order I wanted them and roughly eyeballed my stripe width based on seven polishes. 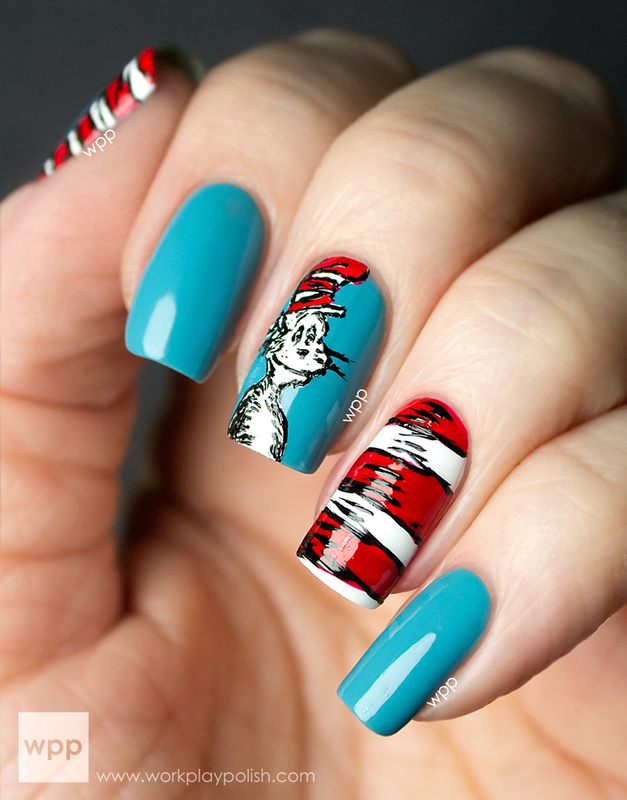 I used striping tape to get a clean edge on the bottom of the second stripe from the cuticle. Using a striping brush, I free-handed every other stripe. I didn't worry about the thickness of the stripes or getting a clean edge. From top to bottom, the Cirque polishes are Panacea (coral), Cerrillos (turquoise) and Xochiti (orchid). I used one coat of HK Girl topcoat and waited about 15 minutes. Next I taped off the remaining stripes, making sure the tape was on the outside of the stripe. If you make the space between the striping tape even...then this second round will be too skinny. Then I filled in with the remaining colors: Powwow (pink), Luminous Owl (green), and Sky Woman (blue). This covered up the free-handed edges of the first round and made all the edges sharp. I removed the tape immediately after polishing each color and touched up any wonky spots with a nail art brush. Finally, I finished with two coats of topcoat to make it smooth. Don't be afraid to really load it on. This tape mani wasn't too thick and uneven, but there are times when I use up to four coats. My favorites are Cerrillos and Xochiti, but like I said...they are all beautiful! 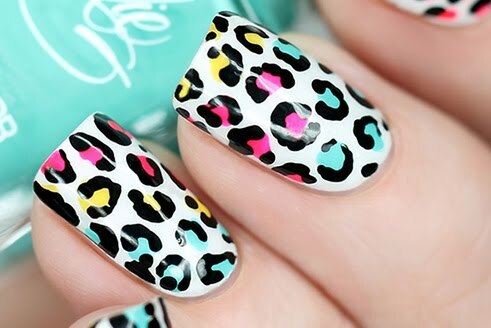 They each have a great holo finish and a fantastic formula. I wore Powwow for a day (and I'm a bad blogger because I didn't even get a cell phone pic of it!). I got lots of compliments and zero tip wear. This is a great collection. Annie has such an eye for detail. The Cirque Colors Heritage Collection is available now at www.cirquecolors.com for $13 each. For other retailers, visit the “Stockists” page. For Cirque news and releases, follow Cirque on facebook, twitter and instagram.